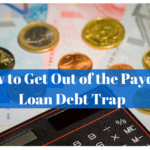 When you’re stressed and overwhelmed by mounting payday loan debt and aggressive lenders constantly calling, it can be really hard to step back and take the time to make the decision that’s best for you. Choosing the right payday loan consolidation company to work with is a very important decision that shouldn’t be taken lightly, though. Use the tips below to review the loan consolidation companies you’re considering. Look up their Better Business Bureau (BBB) rating! The BBB assigns ratings to companies based on their degree of confidence that a business is operating in a trustworthy manner and will make a “good faith effort” to resolve customer complaints that are placed with the BBB. Ratings range from A+ to F, with an A+ being the highest rating a company can receive. Search the BBB for the loan consolidation company you’re considering working with. If they have a good rating, chances are, they’re working with clients in an ethical, trustworthy manner and they may be a good option for you. Give them a call & try a free consultation! Call them! The quickest way to get to know the people that will be helping you is to give them a call. Submit the initial info form on their website for a free consultation. Get to know them! Ask lots of questions! You should feel comfortable with the person you’re speaking to. After all, they’re going to be your support system, guiding you throughout this entire process. If they’re pushy or aggressive, or if you feel uncomfortable, that’s a red flag. Make a list of questions before your call, so that you’re prepared. Search their company name for reviews online. Oftentimes, if a company is operating in an untrustworthy manner, people are talking about it! If not, you’ll sometimes find great reviews. Either way, take the reviews for face value. Do they have a blog on their website? What type of content are they sharing? Are they providing lots of great, free, valuable content? If so, this is a good sign. They’re taking the time and resources to create helpful content for anyone, whether they’re a customer or not. If they don’t have a blog, that’s no reason to be concerned, though! Just get to know their website and spend some time reading what they’ve put out there. This is another way to get to know the company more before you decide to work with them! Tweet them! Comment on their Facebook page! See what type of responses you get. Ask questions! Read the content they’re putting out there. Does it relate to you? Does it make sense? What type of persona are they putting out there? 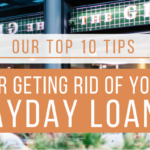 If you’re considering various payday loan consolidation companies, make sure Real PDL Help is at the top of your list. We have an A rating with the BBB and a team of expert payday loan consolidation specialists with years of experience. Helping you gain financial control and freedom is at the heart of what we do. Curious? Schedule a free consultation today! 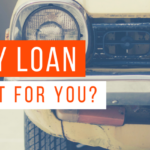 Payday Loan: What’s in it For You?